Fri., April 5, 2019, 2:19 a.m. If you’ve never experienced chronic pain, consider yourself lucky. Pain is technically defined as chronic if it lasts for more than 12 weeks, and can include everything from tennis elbow or tendinitis to pressure from a tumor affecting the nerves. Chronic pain can make eating, sleeping, walking, thinking, sitting and exercising difficult, impacting quality of life and making it next to impossible to function normally. Typically, someone begins chronic pain treatment by visiting their primary care provider, and is often given pain medication. They may be referred for physical therapy if the symptoms don’t subside on their own. If that doesn’t work, then often MRIs or X-rays are ordered, and new treatments can begin. Treating the underlying issues of chronic pain can sometimes take weeks or months, and often there are no guarantees that it will ever go away. It’s at this point that some patients may consider cannabis as an option to help them live with chronic pain and perhaps reduce their symptoms. But how do you get started if you’re new to cannabis but not necessarily new to pain? The Washington State Department of Health website (www.doh.wa.gov/YouandYourFamily/Marijuana) lists all the medically-endorsed cannabis retailers. These stores have a certified medical marijuana consultant on staff at all times. These consultants can also issue recognition cards for patients and providers who have a valid medical marijuana authorization. There are currently 10 stores in Spokane County with this designation and about 150 around the state. This includes Spokane’s Satori South and Satori North. At the north location, certified medical marijuana consultant David LaMoreaux enjoys helping educate patients on their options under the state guidelines, whatever their health condition. LaMoreaux has some restrictions on what he can say about specific benefits. For instance, he can tell patients what other people have found useful and works with similar symptoms. But he can’t make recommendations directly of how to reduce someone’s specific chronic pain. “There is still so much gray area,” he explained. Obtaining a medical marijuana recognition card has several benefits. Medical marijuana recognition card holders are them to legally grow six cannabis plants at home for personal medical use. Rather than buying product all the time, growing their own can allow patients to know the quality and conditions under which the plant was grown. One such chronic illness that many say cannabis can help is pericarditis, which is inflammation of the sac around the heart. When inflammation occurs, a doctor can detect what’s called a rub on the heart, where the sac rubs against the heart and can cause heart-attack-like symptoms: sharp chest pain, a cough, shooting pain down the arm and leg, heart palpitations and anxiety. People who experience pericarditis often end up in the ER thinking they are having a heart attack. But with proper treatment, they can experience relief without surgical intervention. 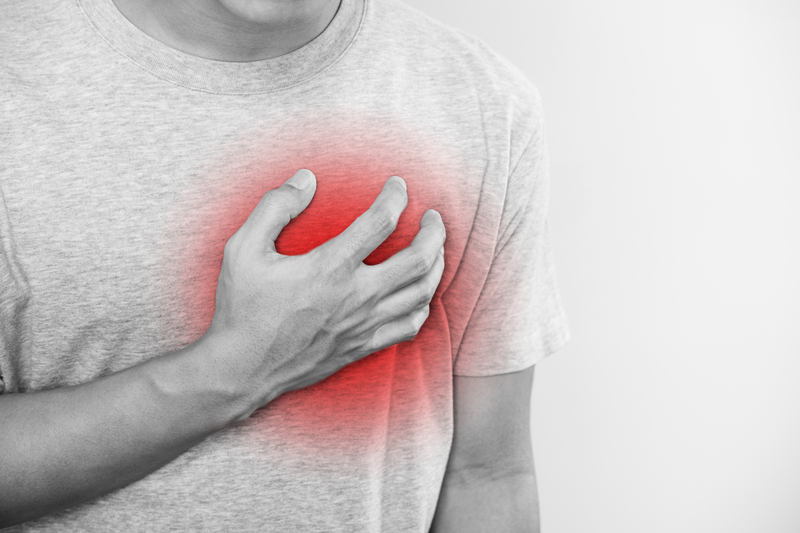 If pericarditis does not subside after three to six months, it is considered chronic and can cause increasing anxiety, an inability to exercise, and general fatigue and malaise. Greg Spencer has had pericarditis for more than a year, experiencing intense pain and little relief from medication. He’s changed his diet, he’s decreased his stress, he’s done just about everything. And still the pain persists. That’s when Spencer began researching cannabis and CBD oil. He found that while it doesn’t necessarily remove the most painful symptoms, it does allow him to relax enough to get some relief. “I’ve tried CBD and THC oil for the chronic pain and had no luck. … However, the CBD oil has been great for my anxiety attached to this awful disease, which in turn makes me feel better,” Spencer said. Many medical professionals agree that there needs to be more research conducted with chronic pain and the use of cannabis. The research on cannabis to reduce epileptic seizures has been well-documented and several forms have worked well on many patients. A number of patients have also found relief with different forms of cannabis. However, because the restrictions on medical cannabis research with federal funding has been extremely limited, more research is needed. One Spokane resident who didn’t want to be identified purchases CBD oil and edibles to take to her father in Ellensburg for hip pain. He definitely finds relief. “He is able to sleep better at night when he takes the cannabis, which in turn helps his pain,” she explained. LaMoreaux said that one of the first things he recommends to clients seeking chronic pain relief is to find a way to sleep. “Getting rest is one of the biggest benefits to feeling good, so getting a product to help you rest is important,” he said. “We usually advise people to start in the evening. When chronic pain and inflammation is the issue, CBD tinctures can be beneficial, and topicals can be useful,” LaMoreaux explained. Charles Lemon also struggles with pericarditis and uses cannabis as a means to find rest. Matt Campbell is another Eastern Washington resident who struggles with chronic pain. He uses cannabis both for pain relief and anxiety. He’s found that it both relieves his intense pain and reduces his anxiety brought on by pain. Amanda Porter has used the full spectrum of cannabis, edibles, CBD oil and tinctures for her pericarditis and cancer treatment. She believes it helps her overall health and wellness. “My husband, by the way, uses it for his arthritis pain and finds relief,” Porter added. Published: April 5, 2019, 2:19 a.m.